Your filter returned no results. Please update your filter. A veteran of both our research and consulting departments, Adam provides unique insight to our apartment and home building consulting clients. He has also co-authored several white papers for our clients, including research on foreclosure laws at the start of the housing crisis. 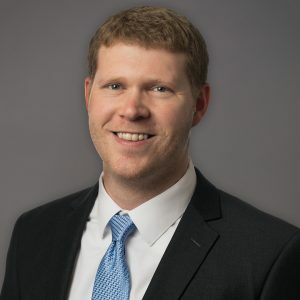 Before joining John Burns Real Estate Consulting in 2011, Adam was a Senior Financial & Research Analyst at GVA Kidder Mathews and a Senior Acquisition & Development Analyst for Steadfast Companies, conducting financial and feasibility analyses for commercial development. He holds a B.S. in Finance from Santa Clara University and works in our Irvine office. In his free time, the former NCAA Division One college tennis player still enjoys court time. Andrew analyzes housing market conditions across the nation, specializing in designing and building Excel models from the large array of economic data used in our national, regional, and metro-level reports. He also helps ensure research data accuracy and helps develop our forecasts. 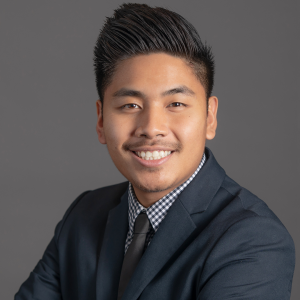 Before joining John Burns Real Estate Consulting in 2013, Andrew gained experience in real estate development market research as a Research Associate for a national housing market analysis firm. He also worked as an Accounting Assistant at Delta King Hotel. Andrew holds a B.A. in Real Estate and Land Use Affairs from California State University, Sacramento and works in our Sacramento office. A private pilot, Andrew also enjoys other outdoor activities and woodworking. Annie produces insightful research on a variety of topics and provides our clients with deep knowledge of markets and their drivers across the United States. 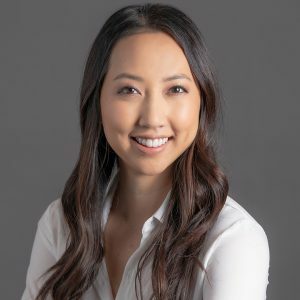 Before joining John Burns Real Estate Consulting in 2015, Annie was the Director of Market Intelligence for PulteGroup where she developed local segmentation, acquisition, and operational strategies for the Texas, Pacific Northwest, and Southeast markets. Annie holds a B.A. in Architecture and Urban Studies from Yale University and a dual MBA/Masters’ of Regional Planning from the University of North Carolina at Chapel Hill. She is based in our Pacific Northwest office. Annie was formerly a collegiate rower and an elite cyclist but today is happy to bike and run more casually while finally again living in a place that has fall and spring. Chris has more than ten years of experience in real estate consulting, with a specialty in project feasibility and market analysis. Chris also has a background in evaluating fiscal and economic impacts of new development, and has served as an expert witness. Prior to joining John Burns Real Estate Consulting, Chris was a Principal at Peterson Economics. He traveled extensively and covered a broad range of property types from high-end boutique hotels to large master-planned residential communities. Chris holds a B.A. in Economics from the University of Florida, where he was elected to the Phi Beta Kappa Society. He earned a Master’s degree in Applied Economics from Cornell University. In his spare time, Chris enjoys sailing, surfing, and playing guitar. 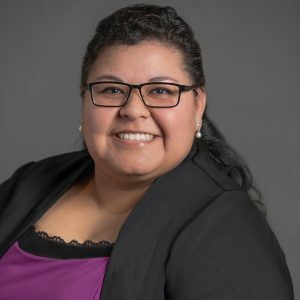 As an Administrative Associate, Crystal is responsible for quickly and accurately collecting information, supporting the production of our monthly research reports, and assisting in the daily operations of the Sacramento office. Before joining John Burns Real Estate Consulting Crystal served as the Global Outreach Coordinator and Registrar at Bayside Church and as Admissions Manager at Global Expeditions. She studied Communications at Sacramento City College and Business at the Honor Academy. In her spare time Crystal enjoys traveling and photography. She hopes to one day travel to all 50 states, and she is currently more than halfway there. Dana has more than 35 years of experience in the real estate industry. He has managed, analyzed and valued a wide variety of residential and commercial real estate projects. 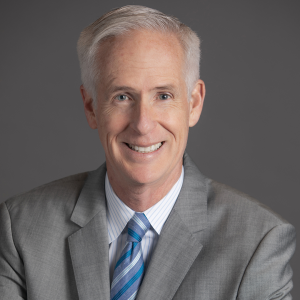 Before joining John Burns Real Estate Consulting, Dana managed mothballed subdivisions acquired during the downturn on behalf of a private equity group. Before that, he headed the Property Valuation department at The Corky McMillin Companies. Over his career, he has become an expert in market research, due diligence, entitlements, financing, construction management, and marketing. As a former commercial real estate appraiser, Dana recognizes that valuation is at the heart of nearly every real estate decision. He shares his experience with students at San Diego State University where he teaches real estate finance and development. Dana holds a B.A. in journalism from the University of California at Berkeley and an M.A. in education from San Diego State University. Much of Dana’s free time goes to San Diego State where he volunteers for extra-curricular real-estate related activities and lives for next season when the Aztec teams will be really good. 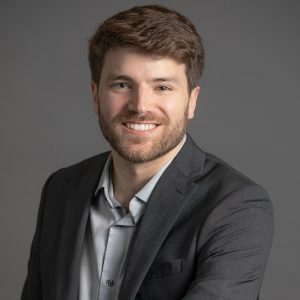 Derek is responsible for preparing consulting assignments and research projects, including compilation and analysis of market data, fieldwork, and market reports. 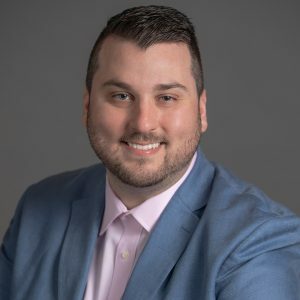 Prior to joining John Burns Real Estate Consulting, Derek oversaw a multifamily portfolio as a Senior Property Manager for Belmont Associates. Before that he was an Acquisitions Associate at Alexander Forrest Investments. Derek holds a B.A. in Business Finance from Westminster College. He enjoys outdoor activities like kayaking, fly fishing, and skydiving. Derek also loves traveling. He studied abroad in England during college, and visited Zambia, Africa, for missions work last summer. Danielle analyzes economic and housing data to measure single-family and multifamily markets on the metro, regional, and national levels. She also provides in-depth knowledge of the California housing markets by evaluating various metrics and monitoring emerging trends. Before becoming a Research Analyst, Danielle was an intern in the Demographics department for John Burns Real Estate Consulting. She also gained professional experience as a Loan Administration Assistant for UCSD. Danielle holds a B.A. in Economics from the University of California, San Diego. She enjoys traveling, spending her free time outdoors, and taking advantage of living close to the beach! David has more than 25 years of real estate and home building experience in a variety of concentrations including land acquisition and development, land planning, home building, commercial real estate and residential sales. 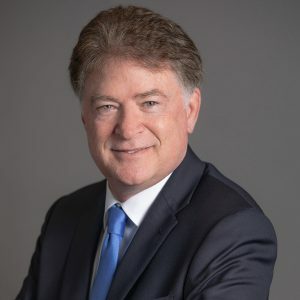 Prior to joining John Burns Real Estate Consulting, David Jarvis worked as Executive Vice President of McAlister Investment Real Estate, a real estate investment firm focused principally on undeveloped land parcels in the metropolitan markets of Texas and the Sun Belt states. David managed McAlister Investment Real Estate acquisitions, coordinates deal structure, and conducted market research. 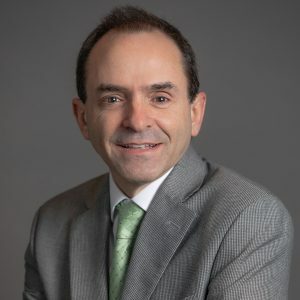 David served as Houston Director for an information technology company where he directed their Houston Advisory service and Consulting Services for the state of Texas. Additionally, he is a Licensed Broker in the State of Texas. David holds both the CCIM and MIRM education designations. David received his Bachelor of Arts in Marketing from the DePaul University. In his spare time, he enjoys spending time on his boat. Devyn monitors housing markets nationwide, specifically in her work on our monthly builder survey. She also provides in-depth knowledge of the Southeast, Florida, and Denver housing markets to our reports. 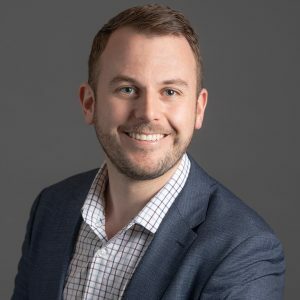 Before joining John Burns Real Estate Consulting in 2015, Devyn was a Market Intelligence Analyst at Pulte Group, conducting land feasibility analyses and market research for this residential builder/developer. She holds a B.S. in Business Administration with and emphasis in Marketing and a minor in Real Estate from the University of Colorado Boulder. Aside from spending time with her family, she enjoys watching hockey and perfecting her yoga practice. An expert in home-building financials, land development, and commercial construction, Don leads portfolio and valuation assignments, and acts as the final reviewer on most of our consulting reports. 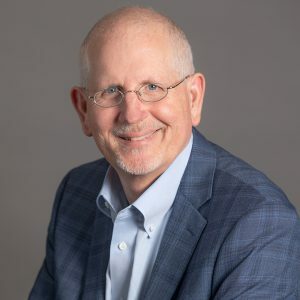 Before joining John Burns Real Estate Consulting in 2008, Don worked as General Manager responsible for the operations of all five divisions within the Corky McMillin Companies – a 2,000-unit per-year home builder. During his 12 years there, Don honed his skills in strategic planning, acquisitions, and financial forecasting. Prior to that, Don worked in consulting at KPMG Peat Marwick, where he learned the art and science of evaluating real estate projects and markets. Don holds a B.S. in Finance and Real Estate from San Diego State University, was a founding member of San Diego State’s Real Estate Advisory Board, and works in our San Diego office. Don stays active in his free time, enjoying mountain biking, surfing, and fly fishing. He also competes in sprint and long-distance triathlons, completing two Ironman races. Destin assists with the production of monthly reports, along with assisting with data collection and quality reviews. Before joining John Burns Real Estate Consulting, Destin worked in the Escrow Department for D.R. Horton. Prior to that, he worked in sales at PayScale, a SaaS company located in Seattle, WA. Destin holds a B.S. in Economics with minors in Business Administration and Music from the University of Oregon. In his spare time, he enjoys playing basketball, golf, and traveling. You can also find him proudly rooting for his Ducks throughout the year. Dustin is a Consulting Manager specializing in residential real estate market research, analysis and custom consulting. 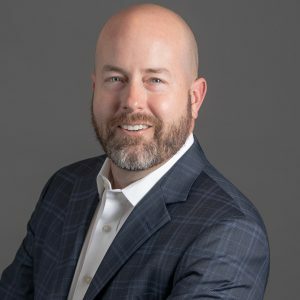 Prior to joining John Burns Real Estate Consulting, Dustin supported land acquisition, development and investment activities for Houston-based developer, Senterra Real Estate Group. Dustin has managed studies relative to absorption, pricing, positioning, cash flow and profitability to support investment recommendations in several housing markets across the country. Dustin holds a B.B.A. in Finance from Northeastern State University and is based in our Houston office. In his free time, Dustin enjoys spending time with family, traveling and watching college football. Eric supports and manages database design, development, architecture, modernization and implementation of our SQL database. 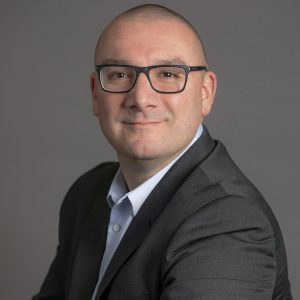 He has 15 years of experience working on Microsoft SQL Server and holds a MCTS in Business Intelligence with a strong emphasis on Performance Tuning, ETL and Data Warehousing. Eric is a former President of the Sacramento SQL Server User Group, and actively speaks at SQL Server events. In his free time, Eric enjoys camping, BBQ’s, volleyball, bowling and the great outdoors. Erik manages the integrity of our data for our retainer and custom consulting clients. His dedication to delivering accurate and timely data through customized reports helps our clients understand the current state of the housing industry and the economy, both nationally, and in their specific markets. 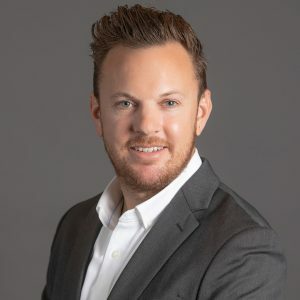 Before joining John Burns Real Estate Consulting in 2006, Erik served as a partner in a Northern California branch of a mortgage lender and as a branch manager for a residential home improvement company. Erik holds a B.A. in Business and Communications from the University of California, Davis, and is based in our Sacramento office. He enjoys traveling, photography, and competes in various distance triathlons, including the 2011 Ironman Switzerland. Heather supports the production of monthly market reports, research papers and the Builder Survey. She collects information to support analyses, compile exhibits, and assists in the final compilation of our monthly reports for delivery to our clients. Before joining John Burns Real Estate Consulting, Heather was a Middle Office Operations Specialist at State Street. In this role, she performed the necessary due diligence to ensure all pricing sources are reviewed, analyzed and compared/contrasted for accuracy before relevant information is released to the Fund Accounting unit and the clients. She holds a B.S. in Managerial Economics from the University of California, Davis and works in our Sacramento office. Heather enjoys trying new things, travelling, and being outdoors camping, fishing, and boating. Jacob analyzes economic and housing market data to improve our forecasting abilities. 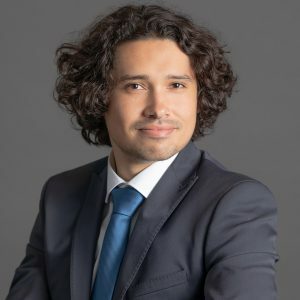 Before joining John Burns Real Estate Consulting in 2014, Jacob was a research analyst for a demographic and economic analysis unit of state government. He holds a dual B.A. in Mathematics and Economics from Brigham Young University, and is based in our Sacramento office. He enjoys spending time with his kids, weightlifting, and home renovation projects. Jeff is responsible for conducting and managing feasibility studies and other consulting projects and generating consulting opportunities. 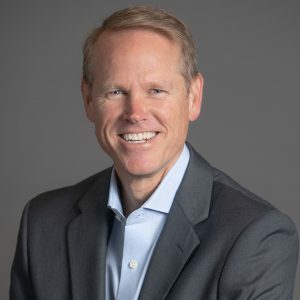 Before becoming a Vice President at John Burns Real Estate Consulting, Jeff was Principal of JVB Real Estate Advisors and Senior Vice President, Acquisition and Planning with The Corky McMillin Companies prior. Jeff is a big sports fan and loves the outdoors. Jeff assists in the production of metro, regional and national level economic reports as well as providing quality control support. Jeff also collects and analyzes economic data for a variety of different projects. 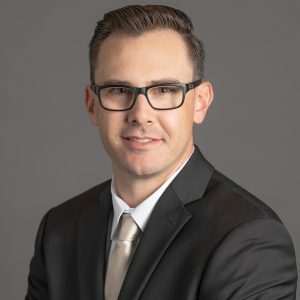 Before joining John Burns Real Estate Consulting in 2015, Jeff gained data analysis and accounting experience working with a government contractor and a CPA firm in the Sacramento area. Jeff holds a Bachelor’s degree in Economics from UC Davis. Jeff is a music aficionado who is always looking for something new to listen to. Jeff manages many of the company’s consulting valuation assignments. Jeff is an expert in business strategy, market forecasting, competitive analysis, and product for residential and commercial real estate. 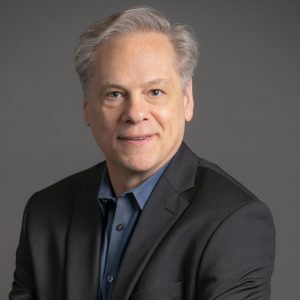 He has authored numerous articles and white papers and received press coverage of his work in Inc., The Washington Post (Capital Business), and Washington Business Journal. Before joining John Burns Real Estate Consulting, Jeffrey worked at global services firm CBRE as Director of Research & Analysis. 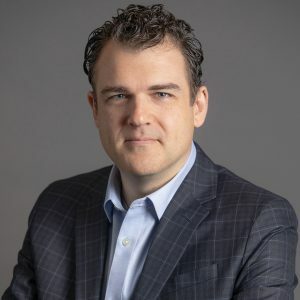 Prior to that, he was Director of Research at Cassidy Turley (now Cushman & Wakefield) and was at Centex Homes, where he was regional director of strategy responsible for market analysis, strategic planning, and competitive intelligence. Jeffrey holds an M.B.A. in International Management from Thunderbird, School of Global Management and a B.A. in Business and German from Drury University in Springfield, Missouri. He is based in our Washington, DC office. In his free time, he loves international travel, cycling (watching the Tour de France and riding off-road), watching his son play soccer, and reading. Jenni performs DesignLens and consumer research production, support and analysis, and assists with other custom consulting assignments. Before joining John Burns Real Estate Consulting in 2014, Jenni gathered years of experience in housing market research, marketing, research, and design support at Bassenian Lagoni Architects. Jenni holds a B.A. in Theater from California State University, Fullerton, and works in Denver. In her free time, Jenni enjoys reading and going to theater. Jennie revises our research publications, consulting reports, and marketing collateral. 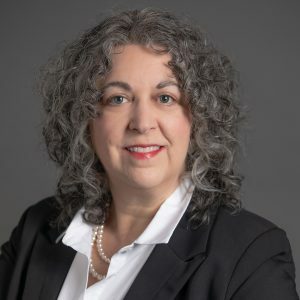 Before joining John Burns Real Estate Consulting, Jennie was an Associate Editor at Toastmasters International where she wrote, edited, and planned content for monthly publications. She also previously worked as a Marketing Assistant for Pfeiffer Partners Architects where she was responsible for the content and design of proposals and marketing materials. Jennie has a B.A. in Writing from Susquehanna University and an M.A. in English and Publishing from Rosemont College. She is originally from Pittsburgh, Pennsylvania. In her free time, she enjoys cooking, watching movies, and hiking. Jessica assists with the daily operations in the Irvine office and provides administrative support for projects. 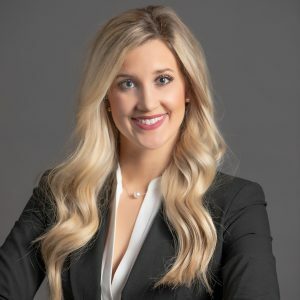 Before joining John Burns Real Estate Consulting in 2016, Jessica gained experience in account management, administrative support, and office management in the advertising and medical fields. She earned her Bachelor’s degree in Psychology & Social Behavior from UCI and is based in our Irvine office. In her free time Jessica, enjoys listening to music and attending concerts. Jody monitors housing markets nationwide, spearheading our builder and land broker surveys, and market ratings. She specializes in analyzing markets and home building companies with an eye toward strategic planning and raising capital. 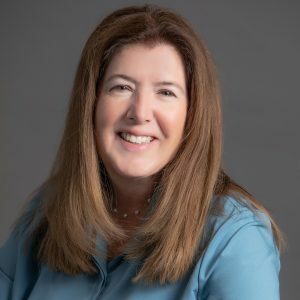 Before joining John Burns Real Estate Consulting in 2010, Jody served as Vice President for MPKA, a boutique investment banking firm where she participated in 85 builder mergers and acquisitions. She was also a Loan Analyst for a pension fund advisor, and Director of Information Services for a Houston-based publisher of real estate reports. Jody holds a B. S. in Economics from the University of Houston, and works in our New England office. Jody enjoys upcycling trash into art, as well as teaching art at her synagogue’s school. She is also a veteran volunteer for Family Promise, a national faith-based organization that helps transitionally homeless families. John founded the company to help business executives make informed housing industry investment decisions. The company’s research subscribers receive the most accurate analysis possible to inform their macro investment decisions, and the company’s consulting clients receive specific property and portfolio investment advice designed to maximize profits. The team takes great pride in enabling the profitable development of the best places to live in the world. John co-authored Big Shifts Ahead: Demographic Clarity for Businesses, a book written to help make demographic trends easier to understand, quantify, and anticipate. 600,000+ people follow John’s LinkedIn Influencer column, 30,000+ subscribe to his emails, and the media cited the firm 250+ times in 2017. 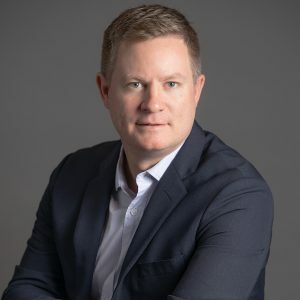 Before founding John Burns Real Estate Consulting in 2001, John worked at a national consulting firm for 4 years and for 10 years at KPMG Peat Marwick—2 as a CPA and 8 in their Real Estate Consulting practice. John has a B.A. in Economics from Stanford University and an MBA from UCLA, and works in our Irvine, California office. He has attended home games for all 30 major league baseball teams, and regularly runs the hills in Southern California. Juan is responsible for assisting with data analysis and the production of our monthly research reports. 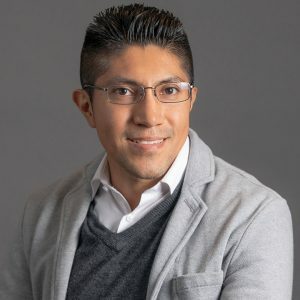 Before joining John Burns Real Estate Consulting, Juan spent the last four years as a tutor for college math, science, and business classes at Sacramento State University. Juan holds a B.S. in Physics with an emphasis in mathematics and computer analytics from California State University, Sacramento. He enjoys playing a variety of sports, including tennis and bowling. 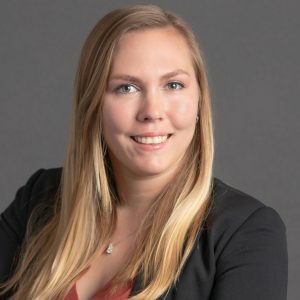 An experienced financial operations and analysis professional, Kate compiles and analyzes housing and economic data, conducts field work, and contributes to the creation of custom consulting reports for clients. 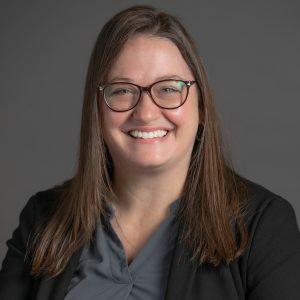 Before joining John Burns Real Estate Consulting in 2017, Kate spent 7 years at the Children’s Research Institute in Washington, DC managing operational and public- and privately funded pediatric research budgets. Prior to that, Kate worked in multifamily acquisitions, commercial real estate brokerage, and commercial office budget and financial planning. She holds a B.S. in Finance from Florida State University. Aside from spending time with her husband and two children, Kate is an avid Aaron Sorkin fan. She has seen the film version of ‘A Few Good Men’ over 40 times, seen the stage version produced by local theaters four times, and annually watches the first four seasons of ‘The West Wing’. Kate monitors economic and housing data to forecast single-family and multifamily markets on metro, regional, and national levels. She also provides in-depth knowledge of the Midwest housing markets to our reports. 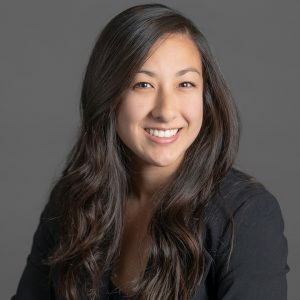 Before joining John Burns Real Estate Consulting in 2016, Kate was a Portfolio Associate at PIMCO working extensively with portfolio managers to monitor and manage risks in the firm’s various hedge funds and to implement desired investment strategies. Prior to PIMCO, she worked as an Energy Derivatives Analyst at Wells Fargo Securities building relationships with clients and assisting in their risk management programs. She works in the Irvine office. Kate holds a M.Eng. from Cornell University with a concentration in Financial Engineering and a B.S. 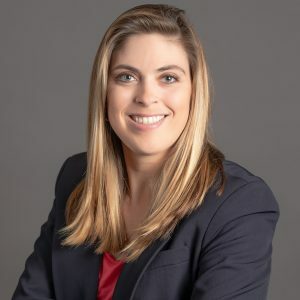 in Business Administration with an emphasis in Finance from the University of Connecticut, where she was also a scholarship member of the Division I Women’s Volleyball Team. Kate enjoys traveling to various “bucket list” locations and National Parks in the US and abroad. Kathryn evaluates emerging market research methodologies and incorporates best practices into our processes as the industry changes. She assists with the research, production, and direction of our Consumer and Product Insights report. 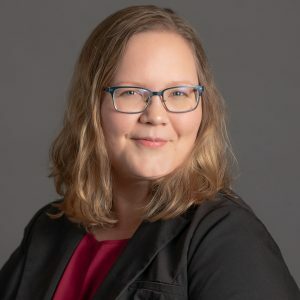 Prior to joining John Burns Real Estate Consulting, Kathryn worked at Clayton Homes from 2015 first as an insights coordinator and then as a market research analyst for the Consumer Insights team, specializing in qualitative research and analysis. She holds a B.A. in Anthropology from the University of Tennessee, Knoxville. While in college, Kathryn spent her summers in Virginia using her research experience as a part of a project to locate Thomas Jefferson’s property before he built Monticello. Kathy assists with the daily operations of the corporate office and provides support in customer service, office administration, and special projects. She also coordinates client and company events and leads the company’s human resources. Before joining John Burns Real Estate Consulting in 2011, Kathy gathered years of experience in administrative support, human resources, recruiting, and employee training as a Client Services Administrator at Mitochon Systems and in Human Resources Consultant at Kaiser Permanente and Prandium, Inc.
Kathy holds a B.A. in Public Administration from the University of Southern California, and works in our Irvine office. In her free time, Kathy enjoys reading and cooking. Kellie is an expert database programmer responsible for the design, management, and maintenance of the company’s extensive data warehouse. 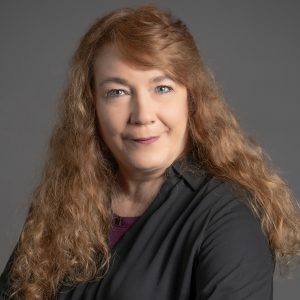 Her expertise in developing and managing databases, as well as report writing, allows us to deliver timely, accurate, and concise data and analysis to our executive clients. 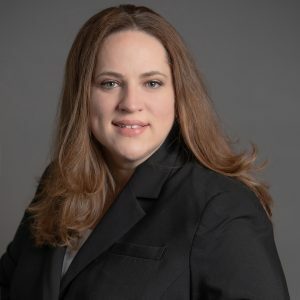 Before joining John Burns Real Estate Consulting in 2005, Kellie was a database/programmer consultant responsible for analyzing data capturing and reporting methods, as well as introducing more efficient methods of streamlining processes for clients such as The Money Store and Campbell’s Soup. Kellie holds certifications from Oracle and Microsoft as a Database Administrator, and is based in our Sacramento office. Artistic pursuits occupy Kellie’s spare time. She enjoys working in a variety of mediums, including acrylic painting, ceramics, and fused glass. 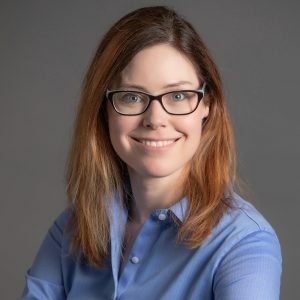 Kristin provides market research and analysis for custom consulting assignments, with a particular expertise in statistical analytics and competitive analysis. 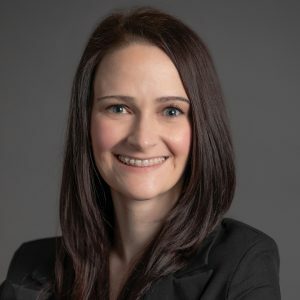 Before joining John Burns Real Estate consulting in 2013, Kristin was a Market Insights Regional Manager at The Ryness Company and was a Manager of Consumer Research at Kelley Blue Book. Kristin holds an M.A. in Economics from San Diego State University and a B.S. in Mathematics from the University of Utah, and is based in our San Diego office. Kristin enjoys life at the beach with her canine kids. Kristine has over ten years of experience in Residential and Commercial Real Estate and works on a variety of custom consulting projects. 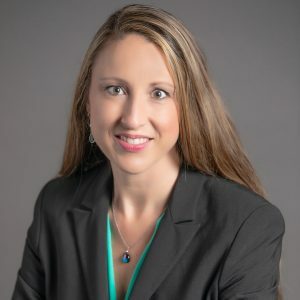 Prior to joining John Burns Real Estate Consulting in 2015, Kristine worked for two public home builders in Florida providing feasibility studies and pricing guidance. 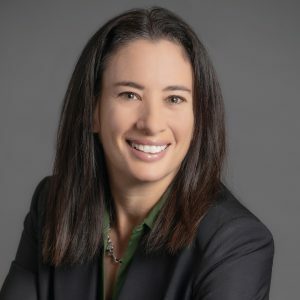 She has also performed market and financial analyses on commercial projects throughout the U.S. for private investment firms and a publicly traded REIT. 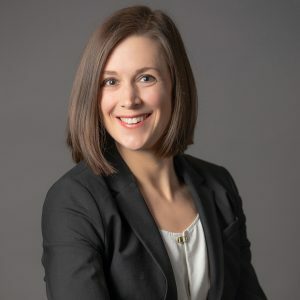 Kristine has a Bachelor’s of Business Administration degree from the University of Iowa with majors in Finance and Marketing and a minor in English. She also earned a certificate in Urban Real Estate from the University of Illinois-Chicago. Kristine is very active in the Southwest Florida ULI Chapter and currently serves as the chair of the Women’s Leadership Initiative. She is based in our Fort Myers office. During her free time, Kristine enjoys paddle boarding, reading and playing with her three rescue dogs. Kyle focuses on residential real estate market research and analysis for custom consulting assignments. He is also an expert with housing demand and coordinates JBREC’s life stage demand model. 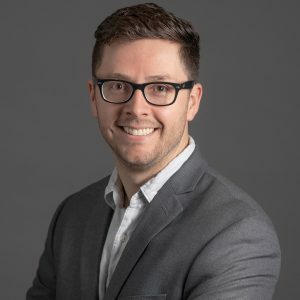 Before joining John Burns Real Estate Consulting in 2012, Kyle gained experience in new home construction research as a Research Associate for a national housing market analysis firm. Kyle holds a B.A. in Economics from the University of California, Irvine, and works in our Irvine office. In his free time, Kyle can be found on the water fly fishing, or on land dirt biking. Lesley leads all custom consulting projects in Florida, in addition to commercial real estate assignments. She has more than 20 years of experience in real estate and economic research. 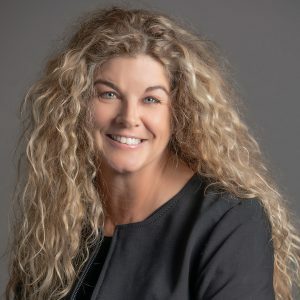 Before joining John Burns Real Estate Consulting in 2008, Lesley served as Senior Research Manager for Montecito Property Company’s Strategic Market Intelligence Group, and was a Principal of Focus Real Estate Advisors. Prior to that, she spent eight years on Wall Street working in public finance for Lehman Brothers and as a Vice President in the Global Real Estate division of Bankers Trust and Deutsche Bank, where she authored reports on real estate and economic conditions in the major US metropolitan areas and conducted due diligence for the investment bank, the CMBS team, and the Deutsche Bank Mezzanine Fund. She then moved to the research team at RREEF (owned by Deutsche Bank), writing quarterly updates on RREEF’s existing properties and due diligence reports for acquisitions on the East Coast. Lesley has a B.S from the Wharton School and a B.A. in Economics from the University of Pennsylvania, and works in our Boca Raton, Florida office. In her free time, Lesley enjoys running, cooking and spending time with her family. Liz assists in implementing and coordinating marketing efforts for the company. She leads graphics and print production, and is based in the Irvine office. 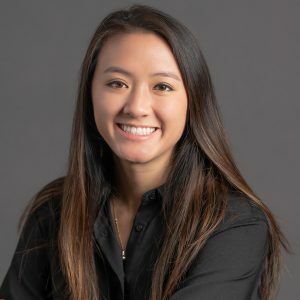 Prior to joining the team at John Burns Real Estate Consulting in 2015, she gathered experience as a public relations assistant with a public affairs firm in Sacramento, and as a multimedia coordinator within the marketing division of the UC Davis Athletics Department. She holds a B.A. in Communication with a minor in Psychology from the University of California, Davis. When not at work you can find her cheering on her favorite NBA team, discovering hidden coffee shops, or hula dancing at her Hawaiian studio. Mike collects data and provides analysis for our monthly reports. Before joining John Burns Real Estate Consulting in 2014, he was an accountant and auditor for Placer County and State Street Bank and Trust. Mike has a B.S. in Business Administration, Finance from California State University, Sacramento, and works in our Sacramento office. Mikaela collects and analyzes data for compelling and timely demographic research. She also supports the Marketing team toward building the company’s demographic brand. 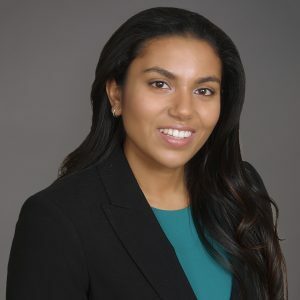 Before becoming a Research Analyst, Mikaela began her career with John Burns Real Estate Consulting as an intern for both the Demographics and Marketing departments. Mikaela holds a B.A. in Business Economics from the University of California, Irvine. She enjoys spending her spare time baking and decorating cakes, and exploring new hikes. Nicole is responsible for collecting information related to new home communities, updating project files, and administering tasks related to DesignLens. 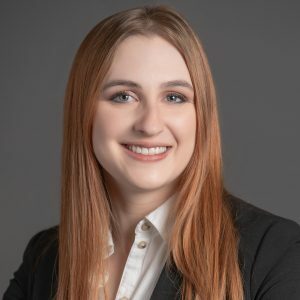 Before joining John Burns Real Estate Consulting, Nicole worked as a Retail Associate at Action Camera in Roseville and as a Student Assistant with the Institute of Transportation Studies. She earned a dual B.A. in English and Art Studio with a minor in Professional Writing at the University of California, Davis. In her spare time Nicole enjoys driving her camaro to new and exciting places, attending equestrian events, running, and photography. 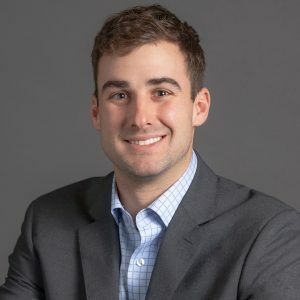 Oliver has over five years of experience in Real Estate focusing on location analytics, demographic research, market analyses, and computer cartography. Oliver supports the consulting team by conducting field work and working on a variety of custom consulting projects. 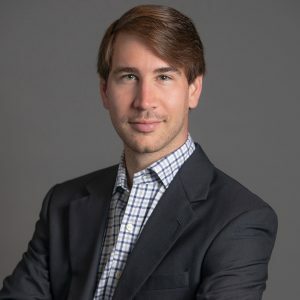 Prior to joining the John Burns team, Oliver worked for a Commercial Real Estate firm that specialized in trade area analyses and market penetration strategies and that represented several national and regional tenants in most major markets throughout the Southeast. Oliver earned his Bachelor’s degree in Geography and his post-graduate GIS Certification both from Florida State University. He is based in our Boca Raton, Florida office. Oliver has played ice hockey his entire life—throughout high school, college, and currently with adult leagues. 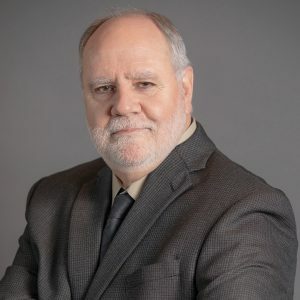 Pete has provided market consulting expertise and development advice to homebuilders, land developers, financial institutions, and public agencies for nearly 30 years. In addition to custom consulting assignments, Pete leads the firm’s litigation services. He has completed more than 3,000 market feasibility studies and consulting assignments, including analyses of large-scale mixed-use master-planned communities, residential subdivisions, condominium conversions, apartments, mobile home parks, custom lot projects, mixed-use developments, office parks, retail centers, industrial parks, golf courses, museums, and resort properties. He is best known for his expertise spotting housing market trends in Southern California, Nevada, and Hawaii. 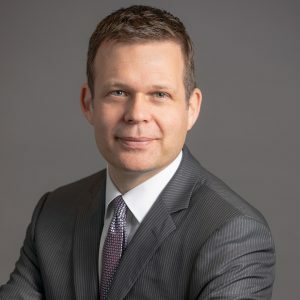 Before joining John Burns Real Estate Consulting in 2013, Pete provided market feasibility studies, consulting services, and litigation support for the real estate industry through Reeb Development Consulting, which he founded in 1996. Pete holds a B.A. in Economics and Public Policy from Pomona College, Claremont, CA, and works in our San Diego office. Pete enjoys watching college football, traveling, creating photo books, volunteering at his daughters’ school, and playing with his two dachshunds. Rami is responsible for conducting feasibility studies and consulting projects and generating consulting opportunities. 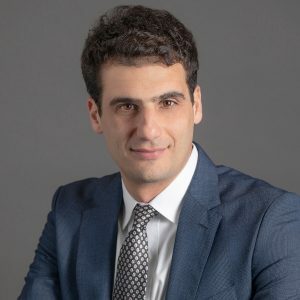 Before joining John Burns Real Estate Consulting, Rami spent the last five years with Five Point Holdings in various roles as Financial Analyst, Research Analyst, and Research Manager. Rami holds his MBA from the University of California, Irvine, a B.A. in Economics from The University of Texas at Austin, and a B.A. in Humanities and Social Science from the University of Edinburgh. Prior to settling in Southern California seven years ago, Rami also lived in Dallas, Montreal, London, Edinburgh, Austin, and Berlin. Richard manages, implements, and integrates all marketing efforts for the company. He focuses on enhancing business growth through brand equity and awareness. 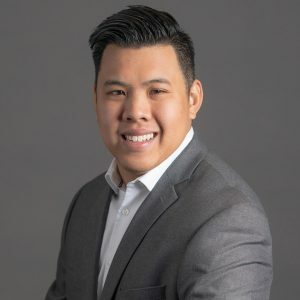 Before joining John Burns Real Estate Consulting in 2013, Richard was a part of marketing teams for UC Irvine Extension and Campus Recreation. Richard holds a B.A. in Economics from the University of California, Irvine, and works in our Irvine office. Richard is an avid Lakers fan, enjoys photography, and was once on a competitive hip hop dance team in college. Rick oversees our subscription research conclusions, producing timely, accurate and thorough analyses. He is particularly well-known for quantifying the impact on housing of unique industry events, such as surging student loans or falling oil prices. 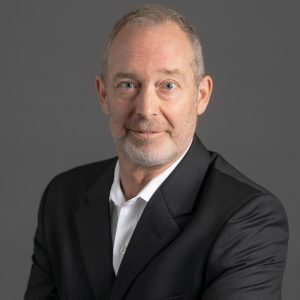 Rick originally joined John Burns Real Estate Consulting in 2006, and then re-joined the company in 2014 after working as a home builder Equity Research Associate at Morgan Stanley in New York. He has also worked as an Analyst at the Milken Institute, and as a Senior Investment Banking Analyst. Rick holds a B.A. from the University of California, Irvine, and an M.S. in Real Estate Economics and Finance from the London School of Economics, and works in our Irvine office. In his free time, Rick loves to travel. Rudy manages our company’s IT needs and provides desktop and network support. He has experience working in different client environments including insurance, medical, and financial. Rudy also has experience working in website development and design. Rudy holds a B.S. in Computer Science from the University of California Irvine and is based in our Irvine office. He enjoys spending time with family, watching movies, listening to all types of music, and cross-fit training to stay healthy. Sangeetha assists with collecting and analyzing large data sets, forecasting developing trends, and creating tools to better monitor the macro economy. 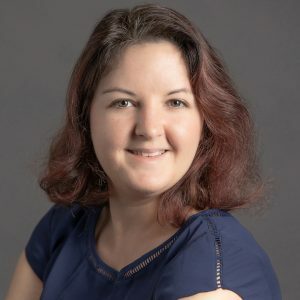 Before joining the team, she was a Peer Advisor for the Statistics Department at UC Davis, and a Cloud Release Analyst Intern at Oracle before that. Sangeetha holds a B.A.S. in Economics and Statistics from the University of California, Davis. She enjoys reading, hiking, and baking in her free time. Sara provides client and business development support and is involved in many new business and client service initiatives. 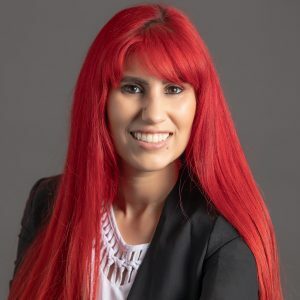 Sara worked at the Girl Scouts of Orange County for 3 ½ years as a Recruitment Specialist, analyzing demographic trends and anecdotal data to develop and implement strategies and tactics for achieving objectives in girl and adult membership. She has also taught English in Ansan, South Korea to students ranging from Kindergarten to 8th grade. Sara has a B.A. in Sociology from the University of California, Irvine. In her free time, she enjoys running half marathons. She completed five half marathons last year alone. Scott has more than a decade of experience working in many aspects of the real estate and development industry. 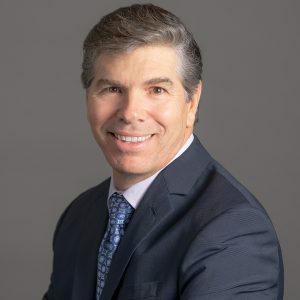 He began his career with K. Hovnanian Homes and served as the Inland Empire market analyst before managing new home communities in North LA and Bakersfield. 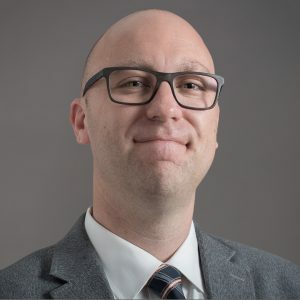 Prior to joining JBREC, Scott was vice president of a consulting and development firm where he managed project analysis and onsite operations throughout the southwestern US for over five years. 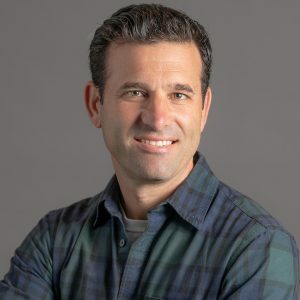 Scott holds a B.A in Psychology with an emphasis in Industrial and Organizational Psychology from California State University, Fullerton and is based in our San Diego office. When not confined to the office, Scott is an avid outdoorsman and enjoys exploring the California Coast, hiking and camping in the mountains and deserts, and deep sea fishing. Scott grew up in the Midwest and is a lifelong Chicago Bears fan. As Consumer Insights Manager, Sidney manages the direction of content, design, and summary of our Consumer and Product Insights report. Prior to joining John Burns Real Estate Consulting, Sidney was the Consumer Insights Manager for Clayton Homes, the nation’s largest manufactured and modular homebuilder. She led the team and helped a vertically-integrated enterprise make data-driven business decisions, ensuring that consumers always had a voice at the table. ​Her key contributions​ in this role​ included: Brand affinity & awareness studies, Market Segmentation analysis, development and curation of Homebuyer Personas, and building a Voice of the Customer platform across the enterprise to help make data relevant and actionable. One of Sidney’s greatest passions is taking data and crafting compelling stories, so business partners can understand their consumers to create more effective marketing, enhance sales processes, and maximize product development to fit the needs of end buyers. Sidney graduated from the University of Tennessee, Knoxville with a degree in Business Analytics. Sidney is a proud member of the Tennessee Watercolor Society. Steve supports our building products research, including our in-depth forecasts of building products spending in new construction and remodeling. 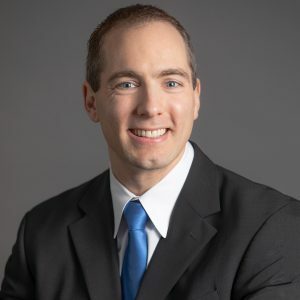 Prior to joining John Burns Real Estate Consulting, Steve worked for Kohler Co. on their Corporate Development team as an M&A analyst where he was responsible for valuation analysis, deal-flow management, and competitive benchmarking for all of Kohler’s business units. Steve has a B.S. in Finance from the University of Wisconsin – La Crosse. In his free time, Steve enjoys fishing, snowboarding, and cheering on the Green Bay Packers. Steve manages data collection and integrity for the 350-plus housing markets in the country and is well known for his fierce, unyielding drive toward data integrity. He applies more than 20 years’ experience in information management and data collection in the housing industry to the task. Before John Burns Real Estate Consulting in 2005, Steve was a Director for a national housing market research firm, where he specialized in custom research and analysis. He is also well-versed in product development, GIS analysis, property evaluation, and training. Taylor analyzes housing data for the production of our monthly reports, contributing insight on regional and national levels for our market summaries. 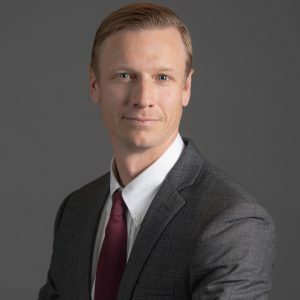 Prior to joining John Burns Real Estate Consulting, Taylor served as an early associate to one of the largest public single-family rental operators, underwriting and acquiring distressed homes and helping build an innovative national property management platform. Before that he helped market a startup specializing in speakers for custom home installation. He has experience in analytics across multiple real estate product types including single-family, commercial, and mixed-use. Taylor holds a BA in Economics from the University of Nevada, Las Vegas with a minor in Chinese. He enjoys hiking, board sports, and exploring the coast with his wife and daughter. Ted manages the editorial production of our research publications. He has more than 14 years of professional experience as a writer and editor. His responsibilities include editing, assembling, and proofreading exhibits from our data team and copy from our analysts. 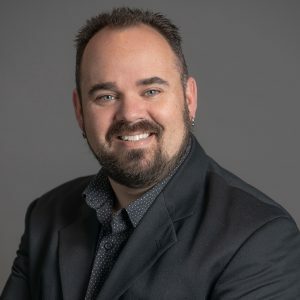 Before joining John Burns Real Estate Consulting in 2012, Ted was a Production Manager at Global Experience Specialists, where he was responsible for concept development, client proposals, script writing, and writing copy for promotional videos and literature. He also previously worked as a Writer/Editor for Cogent Systems, where he wrote user documentation and edited marketing copy for product brochures and customer communications. Ted holds a B.A. in English from the University of Houston Honors College and is based in our Sacramento office. When not thumbing through his well-used copy of The Chicago Manual of Style, Ted enjoys writing songs and making music. Todd oversees JBREC building products research, including JBREC’s in-depth forecasts of building products spending in new construction and remodeling. Todd’s research on home improvement has been featured by the Wall Street Journal, CNBC, and Bloomberg. 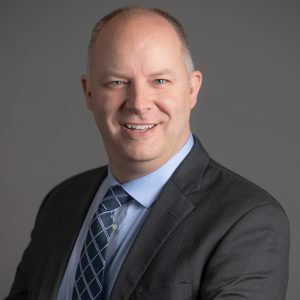 Prior to joining John Burns Real Estate Consulting, Todd served as Manager of Economic & Industry Analytics at Kohler Co, responsible for all North American market modeling and quantitative market research measurement. Todd is the six-time winner of Most Accurate Category Forecaster from Chicago Federal Reserve, which peer group includes Wells Fargo, Caterpillar, Ford, GM, Macroeconomic Advisors, and more. He has his B.A. Mathematics from St Norbert College and an M.B.A. from George Mason University. In his free time, Todd enjoys live music, good food, and is an avid chess player. Trevor works to produce meaningful research that is both reflective and forward-looking, for the purpose of informing real estate industry leaders about market trends and potential opportunities. Trevor manages proprietary indexes, which can include loading and auditing new data on a monthly basis and/or improving methodologies. He also performs ad hoc analysis and report building for clients and internal leaders. To stay abreast of the real estate space, Trevor researches new and existing data to gain insight or improve current reporting and understanding. 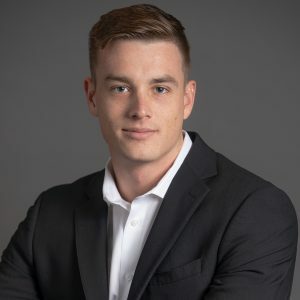 Before joining John Burns Real Estate Consulting in 2018, Trevor worked in the Research Department for Comcast doing various levels of analytics, both local and national. Outside of work, Trevor enjoys traveling with his family and watching football when it’s in-season. Tyler analyzes macroeconomic and housing industry data to enhance our building products research, answer client questions, and support our forecasting team. Before joining John Burns Real Estate Consulting, Tyler worked in the analytics department at the outdoor retailer Cabela’s. He holds a B.S. in Economics from South Dakota State University and an M.S. in Economic Research from the University of North Texas and is based in our Green Bay, WI office. Tyler enjoys spending time with his family and playing soccer. Will manages many of the company’s consulting valuation assignments. With more than a decade of experience, Will is an expert in real estate financial modeling and evaluating corporate financial information. 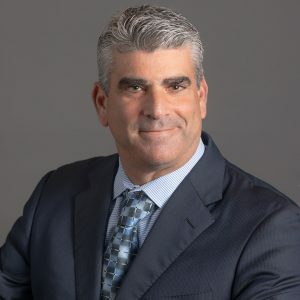 His experience includes managing all financial aspects of due diligence and acquisitions for home building neighborhoods and master-planned communities. Before joining John Burns Real Estate Consulting in 2012, Will served as Vice President of Finance for The Corky McMillin Companies, managing all financial aspects of due diligence and acquisitions, included business plan modeling, investor structures, and financial modeling for land development and residential home building projects. Will holds a B.S. in Business Administration, Management from San Diego State University, and is based in our San Diego office. When not pouring over financial models, Will enjoys hiking, surfing and gardening. 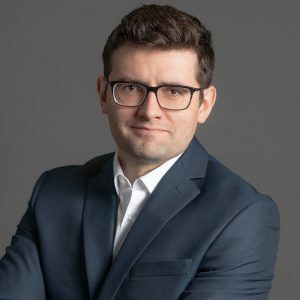 Zak is responsible for preparing consulting assignments and research projects, including compilation and analysis of market data, conducting fieldwork, and putting together market reports. 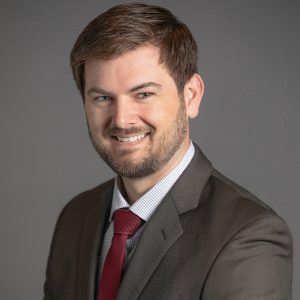 Prior to joining John Burns Real Estate Consulting, he was an accounting associate at the Florida Department of Environmental Protection in Tallahassee. Zak holds a BS in Finance and Management from Florida State University. In his spare time, Zachary enjoys the outdoors, working out, cooking, traveling, and investing.